Joseph P. Evanosich (1884-1962) was born May 1, 1884 at Cres [Cherso], Otok Cres, Primorje-Gorski Kotar County, Croatia. He married Ana Brozovic (1895-1956), a native of Selce, Primorje-Gorski Kotar County, Croatia. At Biloxi, Mississippi, they resided at 1036 Caillavet Street. Children: Michael A. Evanosich (1908-1994) m. Lillian Hagerty; Steve Evanosich (1918-1919); Joseph E. Evanosich (1916-1991); Frank Evanosich; Nicholas Evanosich (1919-1985); Anthony Evanosich; Anna Joan Evanosich (19-2009) m. Nelse Geary (1928-2001); Edna Evanosich m. Mr. Adams; Mary Evanosich m. Mr. Muschich. The Joseph P. Evanovich family lived in Philadelphia, Pennsylvania and in New Jersey for many years. Anna Joan Evanosich (19-2009) was born at Biloxi, Mississippi on . In Harrison County, Mississippi on February 18, 1950, she married Nelse Geary (1928-2001), probably a native of Oregon. The Daily Herald, “Infant [Leona H. Evanosich] buried Saturday”, March 31, 1919. The Daily Herald, “Death of infant son [Steve Evanosich]”, June 26, 1919. The Daily Herald, “Mrs. Anna Evanosich”, September 4, 1950. The Daily Herald,“Steve Evanosich”, December 27, 1955. The Daily Herald, “Joseph P. Evanovich”, September 1962. The Trentonian [New Jersey], “Anna E. Geary”, September 8, 2009. 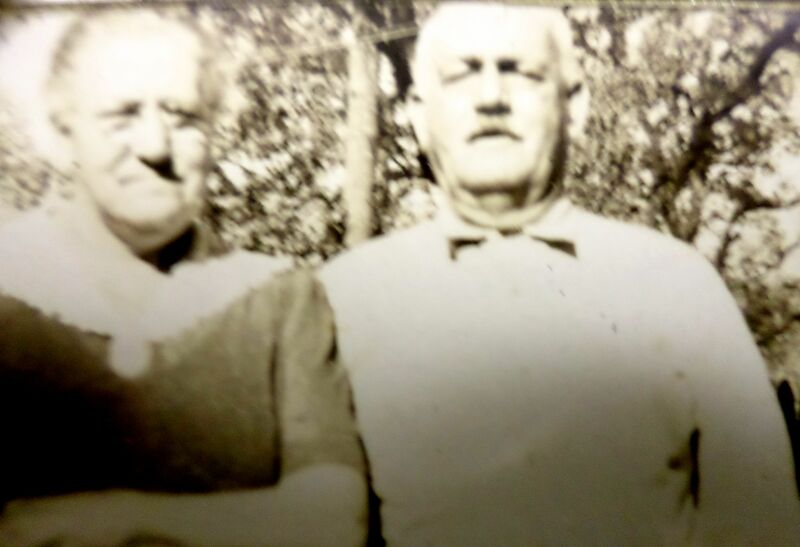 Their children were: John Joseph Pisarich (1903-1982) m. Amanda Davidson (1906-1980); Ray Vincent Pisarich (1905-1988) m. Eunice Carmelite Blanchard (1907-2005); Adelaide Pisarich m. James A. Allen; Elvira Gertrude Pisarich (1909-1999) m. Earl Louis William Anglada (1909-1973); Maria Pisarich (1909-1995) m. Noel E. Balius (1905-1994); Anna Mae Pisarich (1912-1996) m. Charles Alfred Lewis; Francis Matthew Pisarich (1918-2008) m. Mary L. Davis (1922-2012+); Josephine Pisarich (1921-2001) m. Francis J. Malpass (1917-2002); Glenn Anthony Pisarich (1926-1960) m. Joyce Elizabeth McDonnell (1929-2006). John Joseph Pisarich(1903-1982) was born at Biloxi on November 13, 1903. He married Amanda Davidson (1906-1980). John was an excellent barber and began cutting hair at age 19 years. he owned an operated John's Barber SHop on Howard Avenue. Mr. Pisarich was a member of Elk's Lodge No. 606, the Knights of Columbus No. 1244 and the Slavonian Benevolent Association. John expired at Biloxi on April 18, 1982 at the age of 78 years. He was survived by daughter, Jerry P. Stafford of Biloxi; two sons, John J. Pisarich Jr. (1926-1996) m. Alberta Ann Pickard of Biloxi and Robert G. Pisarich m. Virginia Maria Fountain of Ocean Springs; five sisters: Adelaide P.Allen; Elvera P. Anglada; Maria P. Balius; Josephine P. Malpass; amd Mrs. Anna P. Lewis, all of Biloxi; two brothers, Ray V. Pisriach and Francis Pisarich, both of Biloxi; 14 grandchildren; and 12 great grandchildren. Anna Mae Pisarich (1912-1996) was born in 1912. She married John Lewis and they were the parents of: John J. Lewis and Lisa Lewis m. Stephen Fletcher. Anna was a 1930 graduate of Sacred Heart Catholic School and went to workas a sales lady for the J.C. Penny Company and after 42 years she retired as office manager. 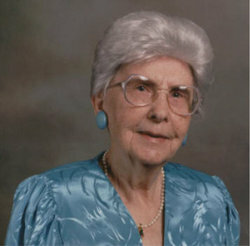 Josephine P. Malpass, age 79 years, died Saturday, Jan. 20, 2001, in Biloxi. Mrs. Malpass was a lifelong resident of Biloxi and was a graduate of Sacred Heart Academy. She was a member of St. Johns Catholic Church where she served as a eucharistic minister and lector, was a member of the Altar Society and served on the Bingo Committee. She was an employee of the Harrison County Tax Collector's Office for many years and was a kindergarten teacher at St. John's Elementary School in Biloxi. She was a member of the VFW Auxiliary. Josephine was preceded in death by a son, Geoffrey P. Malpass Sr. (1996); her parents, Gaspar and Mary Pisarich; four sisters, Adelaide Allen, Anna Lewis, Maria Balius and Elvera Anglada; and three brothers, John Pisarich, Ray Pisarich and Glenn Pisarich. Glenn Anthony Pisarich (1926-1960) was born January 25, 1926 at Biloxi. He enlisted in the USMC on June 6, 1944 and was honorably discharged on September 14, 1945. Glenn married Joyce Elizabeth McDonnell (1929-2006). The Daily Herald, “Biloxi Society and Personal Items”, June 1, 1912. 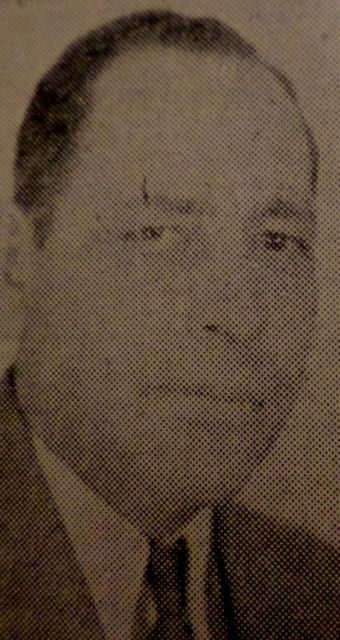 The Daily Herald, '[Captain Gasper J Pisarich] Pisarich death', April 30, 1951. The Daily Herald, 'John Pisarich Sr.', April 19, 1982. The Sun Herald, “Mrs. Anna Pisarich Lewis”, January 14, 1996, p. B-2. The Sun Herald, “Geoffrey P. Malpass”, March 30, 1996, p. A-2. The Sun Herald, “Josephine P. Malpass”, January 22, 2001. The Sun Herald, “”, , p. . The Sun Herald, “Eunice Blanchard Pisarich”, March 10, 2005. The Sun Herald, “Joyce McDonnell Pisarich”, November 25, 2006. The Sun Herald, “Francis Matthew Pisarich”, November 21, 2008. Jerome Lepre, Early Mississippi Coast Families-Trochesset-Fayard-Paquet, Special Issue, (Mississippi Coast Historical & Genealogical Society: Biloxi, Mississippi-August 1982). The Daily Herald, “Trochesset-Velcich”, June 24, 1916. The Daily Herald, “Capt. Velcich over”, December 28, 1921. The Daily Herald, “Mrs. J.S. Velcich dies”, December 17, 1938. The Daily Herald, “John A. Velcich”, March 14, 1968. The New Orleans Daily States, "Anthony Velcich", March 22, 1917. The Sun Herald, “Mrs. Francis Cassanova”, June 1, 1989. The Sun Herald, “F.A. Cassanova”, July 19, 1996. The Sun Herald, “Trina Marie Velcich Weldon”, September, 1998. The Sun Herald, “Audrey M. Cassanova Moran”, July 21, 2011. The Times-Picayune, "Marie G. Baudot Velcich", February 4, 1929. The Times-Picayune, "James S. Velcich", October 13, 1931. The Times-Picayune, "Mary Martinolich Velcich", February 17, 1936. The Times-Picayune, "Germaine Ann Velcich", March 19, 1938. The Times-Picayune, "Velcich, John A. ", March 15, 1968. The Times-Picayune, "Louis George Monteverde", January 20, 1973. The Times-Picayune, "Anna V. Suberbielle", January 29, 1977. The Times-Picayune, "James Burke Suberbielle", February 6, 1979. The Times-Picayune, "Leona Baudot Velcich", November 12, 1985. The Times-Picayune, "Antonia 'Toni' Velcich Gomila-Favre", January 10, 1999. The Times-Picayune, "Helen Cotton Velcich", April 26, 2000. As presently known, the Ziz family of the Mississippi Gulf Coast was represented by two brothers, Antonio D. Ziz who settled in the DeLisle area of West Harrison County and George M. Ziz who resided at Biloxi, Mississippi. They were immigrants from Cres [Cherso] on the island Cres, Croatia. George M. Ziz (1900-1980) m. Della E. Demoran (1902-1947) on March 1, 1924 and Nell Daniels on November 4, 1948. Children: Mary Ellen Ziz (1926-1991) m. Harry Paul Dronet and George Anthony Ziz (1928-1979) m. Frances Louise Norton (1928-2008). George Anthony Ziz (1928-1979) m. Frances Louise Norton (1928-2008) on October 1, 1945. Children: Mary Francis Ziz (1946-1996); George A Ziz II m. Barbara Ann Taylor; Jeffrey Dominic Ziz m. Lisa Ann Randazzo ; Nora Ziz; Michael William Ziz (1948-1948); Della Christine Ziz m. David Lee Fayard; Theresa Zizm. Mr. Whiteside; and Laura Ziz m. Landry; Catherine Ziz m. Mr. Fountain; Joseph Frederick Ziz m. Vera Patrick Dern; and Constance M. Ziz m. George Joseph Rogalski. Jerome Lepre, Catholic Church Records Diocese of Biloxi, Mississippi [1847-1900], Volume III, (Diocese of Biloxi: Biloxi, Mississippi-1995). The Daily Herald, “Lindsey-Ziz”, May 22, 1923. The Daily Herald, “Mrs. Ziz dies”, September 17, 1947 . The Daily Herald, “Anthony V. Ziz”, March 19, 1966. The Sun Herald, “Mary Frances Ziz”, July 23, 1996. The Sun Herald, “Sadie M. Ziz”, August 2, 2007. The Sun Herald, “Frances Norton Ziz”, May 17, 2008.